Having predestinated us unto the adoption of children by Jesus Christ to Himself, according to the good pleasure of His will. Being predestinated according to the purpose of Him who worketh all things after the counsel of His own will. You can see that the Scriptures are not afraid of that word “predestination”. Nor are they afraid of that word “elect” and “election”. Being predestinated according to the purpose of Him who worketh all things after the counsel of His will. A part of that you feel in your own life. And as I preached Sunday a week ago, all we do is just observe, we just look, we don’t explain anything, we explain nothing, all we are capable of is just looking, just seeing what God is doing. And by way of introduction, this is one of the things that you see in your own life. We have choice and we are conscious of it. We are morally responsible. We are accountable for our choices. I am free. I can raise my hand, or I can lower my hand, or I can put it there. And if I choose, I may put my hand there. We’re conscious of those choices. But we are also conscious of a purpose, and a will, and a choice for us that is above us and beyond us and into which we cannot enter. We are very much conscious of that. Why were you not born a hundred years ago? Did you choose to born when you were born, or did the providence of God make that election for you? Why were you not born a boy if you are a girl? Why were you not born a girl if you are a boy? Did you haven anything to do with the color of your eyes? There are ten thousand thousand elective purposes that we see through all of life. And the little part of it that we sense in our own lives, our freedom, our choice, our moral accountability, and at the same time a great sovereign elective purpose over and beyond us. No man can see as he looks at a house but half of it at a time. He can see two corners of it; but the other half of the house he cannot see. When he goes around to look at the other half of the house, then he cannot see this half. You can only see half at a time. But whoever is above can look down and see all four sides of the house at the same time. Edgar Young Mullins, our greatest philosopher theologian said, “They have been struggling with the problem of free moral agency and the sovereignty of God from the beginning of time. And no philosopher yet has ever arisen who can reconcile the two doctrines.” I’m just pointing out to you that all we do is observe, we cannot explain anything. The Bible openly, unashamedly, unapologetically uses the word “predestination”. 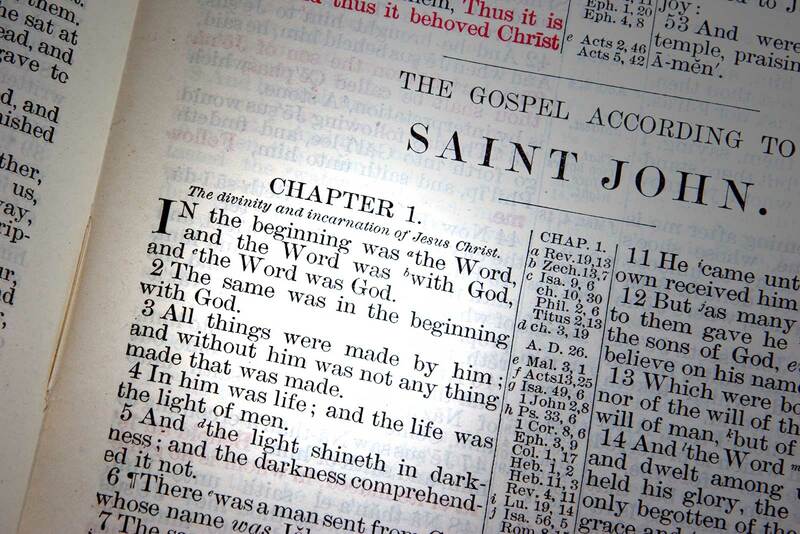 “Having predestinated us in Christ before the foundation of the world;” before the world was made, before that verse in the first chapter of Genesis, “In the beginning;” God predestinated us. “Being predestinated according to the purpose of Him who worketh all things according to the good pleasure of His will.” There is somebody, there is a choice, there is a sovereignty above us; and it is deeply felt, I say, in human experience, in your life, and it is seen in all of history. Now it belongs to the purpose of God. It belongs to the perfection of God, to have will and plan and outline and goal and destiny. The more vast the enterprise, the more the necessity for a plan and a purpose and the more gifted the artist or the architect, the more he will be sensitive to the necessity for a marvelous plan. Have you seen Saint Paul’s Cathedral in London? Every part of that vast edifice was in the mind of Sir Christopher Wren before a stone of it was laid. Have you seen the statue of Moses in the Church of Saint Peter in Chains in [Rome]? Every proportion of that magnificent statue of Moses was in the mind of Michelangelo before he chipped one piece of that vast block of marble. Have you seen the Sistine Madonna by Rafael? Every part of it was in the mind of that unusually gifted young artist before a stroke of paint was placed on the canvas. It is so with the Lord God: from the beginning in His mind and heart the great plan, the almighty and divine purpose that lies back of this whole universe and our lives and our part in it. And when I look at that time that God worked toward and purposed for, I am overwhelmed by how He did it. Why, look: that was a time when there was one universal language; Greek was spoken all over the world. When Paul wrote his letter to the church at Rome, he wrote it in Greek. Greek was the universal language. Again, there was a universal empire: Roman roads, and Roman law, and Roman police or soldier or legionnaires was the entire civilized world. And again, that fullness of time, everywhere there were people, there they were acquainted with the Bible, the Law of Moses. The Jewish diaspora, the scattering of the people of the Lord, had built synagogues and had spoken about the prophets, and the law, and the Moses, and the promise of Christ, the Messianic hope and expectation. In the fullness of time, God worked through all history His sovereign grace to that exact moment. That’s what is meant by “the Logos made flesh,” the great purposes of God materializing in human history. As we look – and as I say that’s all we’re able to do is just see – as we see the hand of God moving in history, and in human life, and in human story, I personally am overwhelmed by some of the things that I observe in it. One: age and time do not deter God from that ultimate aim and purpose. It makes no difference to God, the passing of the years or the increasing of the age. His purpose holds steadfast; He is infallibly faithful. Look: God said to Abram when he was a young man, and said to Sarah when she was a young woman, “Out of your loins I will raise up an heir;” and the promise is that in all the world the families shall be blessed through that Seed, as of one. And Abram rejoiced and Sarai rejoiced; they were to have a son. And the expectation, of course, was that the child should be born in their youth and in the vigor of their manhood and womanhood. But the days passed, and the days became years. And upon a day, Abram went before the Lord and said, “I don’t understand, for the heir in mine house is this Eleazer, a servant from Damascus. Yet you say that out of my loins is he to be born who shall be the seed, the heir.” And God took Abram out under the sky and showed him the stars and said, “Count them.” And Abram said, “I can’t.” God said, “Neither can you count the seeds, and the families, and the nations, and the people that shall be born out of that seed, your heir.” And the days passed, and Sarai fell into disbelief, and gave into the arms of her husband Hagar; and Ishmael was born. When the boy was about twelve years old God came and visited them again; and Abram said, “Oh, that Ishmael might be that seed.” And God said, “Not so, for out of the loins of Abraham and out of the womb of Sarah shall he be born. And Sarah laughed;” she laughed, for her husband was a hundred years old, and she was ninety years of age; and Sarah laughed. And the angel messenger said, “I heard you laugh. And she said, “I did not laugh.” “Yes,” said the angel messenger, “I heard you laugh.” And then the angel messenger said, “Shall anything be too hard for God?” And according to the time of life, and according to the faithfulness of God, and according to the elective purpose of God, there was laid in the arms of ninety-year-old Sarah and one hundred-year-old Abraham a child. “And Sarah called him ‘Laughter,’ Isaac.” The purpose of God; time and age do not waste it away. We must hasten. Nor does human interdiction or decree; men cannot subvert the sovereign purpose of God. When Pharaoh said, “We shall drown, we shall slay every male child in this Hebrew slave family that we have here in Egypt,” he didn’t know that five hundred years before he was born God had said they would go through that fiery furnace and the Lord would deliver them. Human decree, like a little ant shaking his fist at a great railroad train, so a little man made out of dust and ashes shaking his fist at the Almighty God. Human decree cannot change God’s almighty purpose. And death cannot waste it. The second chapter of Hebrews says that Satan has the power of death; and from the beginning Satan has tried to slay the righteous seed and divert the holy purpose of God. Satan thought that Abel was that seed, and Satan slew him through Cain. Satan thought that the Hebrew family was to be that seed, and he sought to slay every male child in Egypt. In the days of Athaliah, the seed was promised to the house of David. Athaliah, the daughter of Ahab and Jezebel, Athaliah, Satan through her doing this evil slew every member, every male member of the house of David; but a nurse took little Joash and hid him away. And in the days of our Lord, Satan nailed Him to the cross. And in my imagination – and it is just my imagination, in my imagination – I can see Satan and every demon, and devil, and evil spirit of hell rejoicing when Jesus was nailed to the cross; he had frustrated the purposes of God, for he has the power of death. But a thousand years before that day of Calvary, God had said in the Psalms, “He will not suffer His holy One to see corruption.” And Simon Peter, preaching about it at Pentecost, said, “It was not possible that He should be holden of death; for this is,” and look at what God says, “the Lamb, slain before the foundation of the earth.” As Revelation thirteen says, or as the first chapter of Peter says, He was “the Lamb foreordained to be crucified before the foundation of the earth.” The purposes of God, working through human life and human history and human story; predestination, the elections of God. Well, just by way of review again, following through some of these great facts – and this is the cardinal fact of all history and of all time: the great foundation fact of life and destiny, our souls, is that God is sovereign. Blind unbelief may stagger at the interdictions of the evil one; but faith looks up to the infallible faithfulness of God. Blind unbelief may watch the shifting sands of human affairs; but faith looks to the immutable Word of Almighty God which, as the psalmist said, “is forever fixed in heaven.” The brethren of Joseph may sell him to the Ishmaelites, and the Ishmaelites may sell him to Potiphar, and Potiphar may put him in a dungeon; but God says he will rule the nation. King Tiglath-Pileser may waste Israel, and Sennacherib may shut up Judah, and Nebuchadnezzar may destroy it, and waste it, and plow it up and carry the people into captivity; but a hundred fifty years before Nebuchadnezzar was born and two hundred years before Cyrus was born, God called Cyrus by name and said, “And the city shall be rebuilt, and the foundations of the temple shall be re-laid.” And Judas Iscariot may sell Jesus for thirty pieces of silver, and the captains in the guards may deliver Him to the chief priests, and the chief priests may deliver Him to Pontius Pilate, and Pontius Pilate may deliver Him to the quaternion of Roman soldiers to be slain, and the soldiers may nail Him to the cross; but it is God’s elective purpose that out of that tomb shall He be raised for our justification; that is, to declare us righteous, all of us who believe in His atoning grace. So in all of our life, and in all of the parts of our lives, we are to commit ourselves and we are to trust in the unchanging purposes of God. The will of the Lord – oh, dear people! If you just had time to review it, you know these things; we just need our remembrance of them brought intensely to our attention. Let me take two instances, one in history and one in personal life. I poignantly lived through the Second World War – I can remember the First World War – but I poignantly, grievously, oh! you cannot imagine with what anxiety and dread I lived through the Second World War. There were literally years when I thought that the triumphant wave of fascism would sweep the entire earth. There was no bastion left in the raging war in Europe, save that tiny, tight little island of England. And on the other side of the earth, the great imperialistic armies and navies and air force of Japan was ravaging the Eastern world. And when Hitler made a treaty with Stalin, the whole earth was in the hands of dictators, except America and that tight little island of England. I lived through those days; they were dark. Oh, I cannot describe the abysmal despair that seemed to cover the whole civilized earth! As one statesman in England said, “The lights are beginning to go out.” And yet I lived to see the day when one of those dictators, Benito Mussolini, was hung up by his heels with a paramour. I have stood at the place where the second one – Hitler – committed suicide, in a bunker underneath the ground. There was a barbed wire fence around it, and the heap was left there in shame and disgust. And I walked in front of the palace where the Japanese Emperor came out and said, “I am no god, worshipped by Shinto, I’m just another little Japanese.” Oh, the purposes of God! And yet these dictators were purposing to destroy the Christian world. And we face the same holocaust, the same dreaded possibility today; our enemies are so rampant, and their threats are so dire. And the Christian faith seems to be crumbling beneath the weight of permissiveness, and iniquity, and violence, and blasphemy under the hands of our enemies both in and out. But we, “Be of good cheer, little children;” or as Jesus said, “little flock, it is your Father’s good pleasure to give you the kingdom” [Luke 12:32]. “In the world ye shall have tribulation; but be of good cheer, I have overcome the world” [John 16:33]. This is predestination; this is the doctrine of election. The hand of God works in homes, and no flood tide of iniquity, or no crackpot Napoleon, or no strutting dictator, or no government of atheism, or blasphemy, or infidelity shall ever subvert the great program of God. That is the doctrine of predestination. Now, in personal life: I haven’t time, nor would I have the temerity to do it, but, oh! sweet and dear people, when I was growing up there were a thousand things that seemed to me that God was not good to me, and was harsh to me, and I’ll just mention one of them. We were poor; didn’t have a car, never had a car, never had a telephone, never had any running water, never had a thousand other things. And I’d see those other boys and girls and especially when I went to school, they just had so much. And I can well remember as a boy, oh! it was something that I felt that God had just sentenced me, kind of left me out. As I look back over it, the best thing God ever did for me was to fetch me up in a background like that. And I can give you a hundred reasons for it; I’m grateful. And there are a thousand other providences. I was out in the country years, and years, and years. When the boys that I went to school with were in these great churches and I was out there; and I used to think, “Lord, I think You’ve even forgotten my name.” Oh! the best thing God ever did for me was to leave me out there in the country years, and years, and years. Why sweet people, the greatest comfort and assurance we have is the infallible, immovable, eternal faithfulness of Him who has promised. That’s the old-time doctrine of predestination and election. And we believe it, just like God says it, reveals it in His Book. We must sing our song of appeal; and while we sing it a family you, a couple you, a one somebody you, to give your heart to Jesus, to come into the fellowship of the church. While we sing this song and while we make the appeal, come now; on the first note of the first stanza make the decision now. And while we sing, into that aisle or down one of these stairwells and here to the front, “Here I am preacher, here I come; I make it now.” Do it, while we stand and while we sing.